Jordan Fry is a native Oregonian and lead aquarium maintenance technician of Aquarium Services of Oregon LLC. Our aquarists provide a wide range of maintenance services for fish tanks, coral reef systems, koi ponds, freshwater aquaria, aquaculture systems and more. For more information about our Portland aquarium design services, please call us today at (503) 784-4403 and let’s talk about your new aquarium project! For more information about our Portland aquarium maintenance services, please call us today at (503) 784-4403 and let’s talk about your systems and animals! 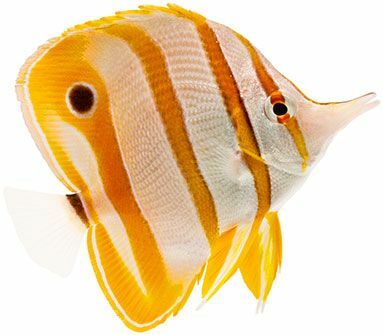 When you’re looking for professional aquarium maintenance in Portland, Oregon and the surrounding area, there are many things to consider: Does the company have experienced and knowledgeable staff? Are they reliable? Will they show up on time and provide professional results? Do they understand the type of life support system I have in my home or office? Can they troubleshoot problems and prevent them from happening again? When you speak with the professional aquarium maintenance technicians at Aquarium Services of Oregon LLC, all these questions and more are addressed quickly with straightforward, businesslike and knowledgeable answers. Our team of experienced aquarists understands the science behind these living systems and the most effective ways to care for the animals living in them. If you’ve been thinking about speaking with an aquarium maintenance company to assist you with your systems and animals, please call us today at (503) 784-4403 or contact us here to schedule a consultation. Once we’ve discussed your system and the aquarium maintenance services you need to be successful, we’re confident that you’ll understand why we have quickly become one of the most sought-after aquarium service providers in Oregon. For more information about what our team of professionals can do for you and your system, just give us a call and let our knowledge and experience help you create and maintain the stunning display you deserve. The aquarists at Aquarium Services of Oregon provide a wide range of different maintenance services for fish tanks, coral reef systems, koi ponds, freshwater aquaria, aquaculture systems and other types of life support systems. Talented Team Our team of professional aquarists has been carefully selected for their depth and breadth of experience, technical education and knowledge gained from years of helping clients achieve healthy and visually stunning systems. Whatever kind of system you have or want to create, let our experience and attention to detail be the catalyst for your success! Modern Design Healthy systems and animals begin at the design stage, with carefully selected life support components built for optimal performance and plumbed in the right order. Our design services can also include aquascaping design to provide the optimal biotope for your animals. Professional Support Life support emergencies require immediate responsiveness to protect the health of your animals and limit water damage. One phone call to (503) 784-4403 brings fast, effective and professional life support emergency services. The aquarists at Aquarium Services of Oregon LLC provide a wide range of different maintenance services for fish tanks, coral reef systems, koi ponds, freshwater aquaria, aquaculture systems and other types of life support systems. Routine cleaning of the display and life support components is essential for promoting animal health and maximizing performance and your enjoyment of your system. Whether we provide the aquarium cleaning services or show you the easiest ways to perform these tasks yourself, our goals remain the same: healthy animals and healthy systems for our clients. We design and install life support systems that maximize system performance and ease of maintenance while minimizing the system’s footprint. Whenever possible, we also eliminate water and pump noise, to reduce distraction and enhance the enjoyment of your display. Sometimes, even the most experienced hobbyist encounters a situation that they cannot diagnose. Other times, they simply need a second opinion to confirm what they suspect. In either case, our aquarists can bring their decades of combined experience troubleshooting life support systems to effectively diagnose and remedy the problem. Our aquarists proactively maintain each aspect of a client’s life support system so that each display tank remains vibrant and engaging and maintenance remains manageable and affordable. How much or little maintenance we perform for your system is entirely up to you! Performing regular water quality testing is very important to determine the overall health of any life support system. Being able to interpret the results is key to proactively managing water chemistry and promoting aquatic animal health. Let our experience and insight help you better understand how water quality positively (or negatively) affects the health of your animals. Learn more about the range of professional aquarium maintenance services we provide for our clients. Our services are customizable, affordable and flexible to meet the unique needs of your system, animals and budget. If you would like to learn more about the professional aquarium maintenance services and support we offer to our clients and their systems, please call us today at (503) 784-4403 or contact us here. 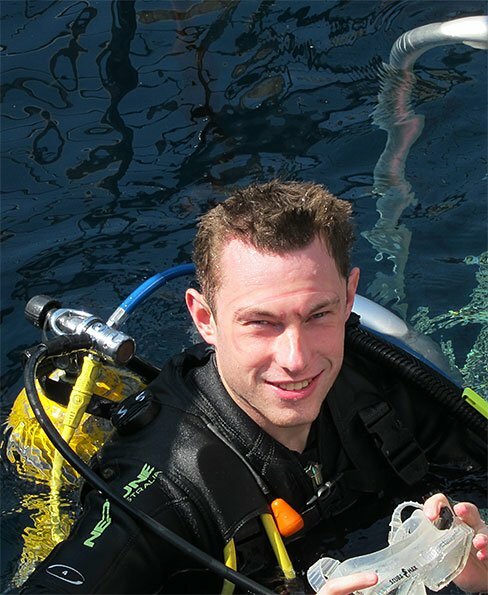 Our owner and lead aquarist Jordan Fry will contact you personally to schedule a consultation.